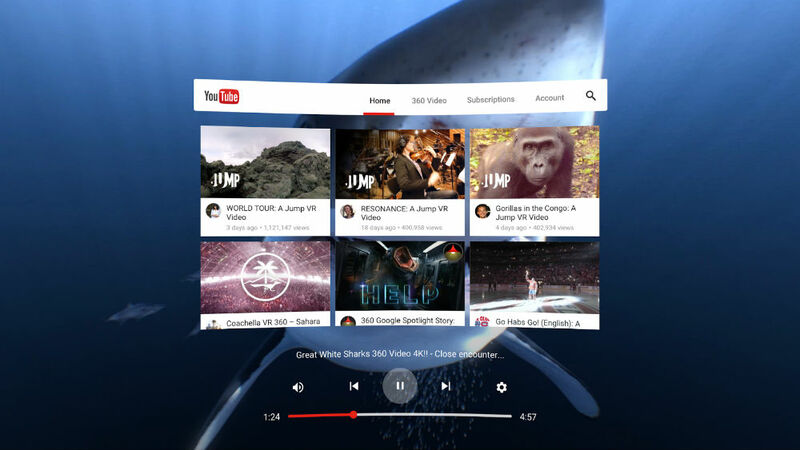 As announced during yesterday morning’s keynote, Google is rebuilding its YouTube app, making it more enjoyable for those who plan on using the service with virtual reality. The announcement goes hand-in-hand with the unveiling of Daydream, the company’s VR platform for Android devices. The YouTube app will still feature the things you know and enjoy, such as voice search, easy discovery, as well as your playlists of videos. Once live, it will all just be tweaked to better work inside of a VR headset. Naturally, if you aren’t using VR, the YouTube UI won’t be changing. YouTube claims they have been working with many creators to have a ton of VR and 360-degree video content available at the time of Daydream’s launch. Additionally, YouTube is collaborating with the NBA, BuzzFeed, and Tastemade to deliver all new experiences to VR users. Like everything else from Google I/O this year, expect to try it for yourself later this year in Q3. Which Chromebooks Will Get Google Play and Android Apps?